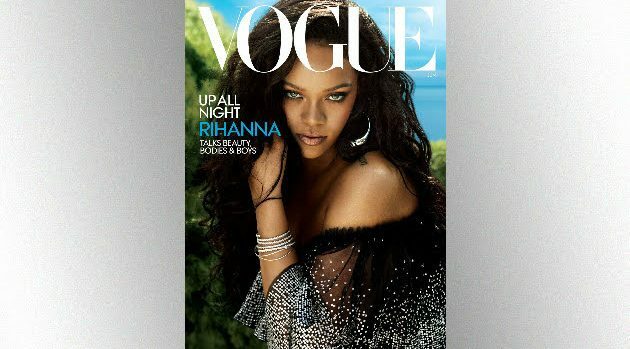 Mert Alas and Marcus PiggottVogue‘s June cover girl Rihanna has made the surprising admission that she’s no longer friends with former on-again, off-again boyfriend Drake. “We don’t have a friendship now, but we’re not enemies either. It is what it is,” she explains. However, RiRi is enjoying a romance with another, unnamed individual. As previously reported, Rihanna’s rumored beau is Saudi businessman Hassan Jameel, the deputy president and vice chairman of his family’s company, which owns the rights to sell Toyotas in Saudi Arabia. Rihanna also claims that taking that “personal time” is helping to fuel her success. “Even mentally, just to be away from my phone, to be in the moment, that has been key for my growth,” she adds. And in case you’re wondering if Rihanna’s managed to tear herself away from her boyfriend and her many business ventures to pay attention to her day job, the answer’s yes. The Barbadian icon tells Vogue that her highly-anticipated ninth studio project will be a reggae album. No word on when we’ll hear it, though.